This is a wonderful transitional chapter book. The book is divided into four chapters, telling the story of Fergus, a classroom pet, who sneaks into a student's backpack so he can go with them on their field trip to the Museum of National History. While there Fergus meets another mouse, Zeke, who is not so good at following the rules. There are lots of colorful, interesting illustrations throughout the book. The ending is sweet and will leave readers looking forward to the next book in the series. The book alternates between the story of two middle school girls, Emmie and Katie. Emmie is shy and quiet and would like to be more like Katie, who is outgoing and popular. When Emmie unknowingly drops a note and it gets into the wrong hands, the stories of Emmie and Kate intertwine. The book also alternates between a diary-like text format and a graphic novel format which will attract readers of books such as Diary of a Wimpy Kid and Dork Diaries. I read this book quickly because it was quite engaging and beautifully written. The plot, nine children living alone on an island, and the setting, a charming and picturesque, but mysterious island drew me in and captured my imagination. The book addresses themes such as loss and change and is one that makes you think about and question the choices of the characters. The ending does leave questions unanswered, so hopefully Laurel Snyder will write a sequel. I love that you read Orphan Island, too. It does leave questions, I agree. The other two sound just right for young readers, one trying to figure out the mysteries of growing up & the other a fun adventure. I like hearing about the format of Invisible Emmie. That will be interesting to see! Thanks, Lisa. I think I'm the only one that still hasn't read Orphan Island yet! I'd better get to it. I've requested Fergus and Zeke from my library, so I'll get to enjoy that one before too long. Have a great week! Fergus and Zeke looks so charming, and I've been seeing Orphan Island popping up everywhere recently! I am excited for Orphan Island. 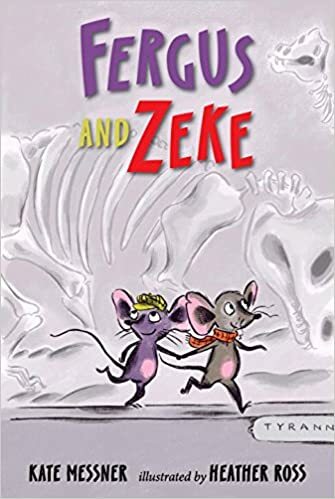 I didn't realize the Fergus and Zeke book existed. Cool. 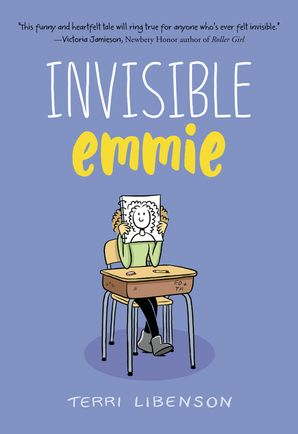 My daughter read Invisible Emmie and really enjoyed it. I was hoping it would be for 4th grade, but she thought there were some situations in the book that might be a little older. I'll have to check it out. I've heard good reviews and some ok for it. 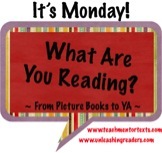 Loved Fergus and Zeke (we need more books like this) and Orphan Island! I want to read all three of these! I just saw Invisible Emmie for the first time today, and I love Messner and Snyder, so I very much look forward to their newest. 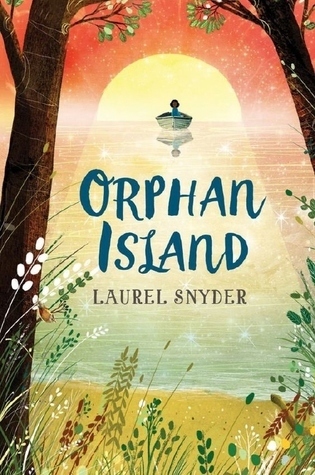 I really want to read Orphan Island. I hear such great things about that book. Orphan Island is getting a lot of love these days. I hope it arrives at my library soon. The Messner book looks delightful and Invisible Emmie sounds like an important book. Happy Reading this week.